Dr. Rick the Chiropractor—Dr. Richard Tavares BSc, DC, DAe—specializes in relieving back and neck pain as well as joints (shoulders, hips, elbows, knees) through high-quality, traditional, natural chiropractic healing. 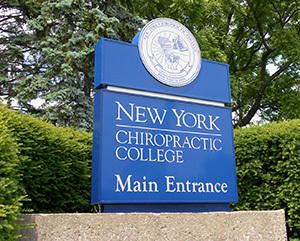 Dr. Rick attended the New York Chiropractic College, the equivalent of Harvard, Princeton or Yale, for those student doctors who wish to become Doctors of Chiropractic (DC). Chiropractic treatment uses no drugs and no surgery. Chiropractic is safe, gentle, and effective. In chiropractic medicine, the doctor actually has his hands on you, to make manual adjustments to your neck, spine, and joints to restore normal function. To learn more about what chiropractors do and how they do it, click here. When you come to Dr. Rick’s clinic, Dr. Rick first works to reduce immediate suffering of those patients who are in acute pain. Second, he works to empower patients with knowledge, preventive tips, and strengthening exercises to remain pain-free through an ongoing treatment/management plan. The human body does not come with an owner’s manual.™ So, Dr. Rick helps to educate patients and to improve their overall health, while accommodating their needs. Click here to learn about preventing injuries around the house. Dr. Rick has been delivering quality chiropractic care to the communities of Woodbridge, Vaughan, Maple, Thornhill, Richmond Hill, and Toronto since 2005. Dr. Richard Tavares received his degree from the New York Chiropractic College (NYCC), the equivalent of Harvard, Princeton or Yale, for those doctors who wish to become Doctors of Chiropractic (DC). To learn more about NYCC, click here. The degree is conferred after a minimum of ten 15-week trimesters (three years and four months total, equivalent to five academic years or 4,620 hours of study). The program concentrates on the science, art, and philosophy of chiropractic treatment. © 2014 Dr. Rick T The Chiropractor.